The St. Gianna’s Center for Women’s Health and FertilityCare is a non-profit entity and provides women and couples with professional instruction on how to plan their families naturally. The Creighton Model, along with instruction and care from one of the Center’s physicians, are the basis of treatments.They also treat and manage many problems related to reproductive health and hormonal imbalances. "A woman of exceptional love, an outstanding wife and mother, she gave witness in her daily life to the demanding values of the Gospel." In his homily on the occasion of her beatification, April 24, 1994, Pope John Paul II proposed Gianna Beretta Molla as a model for all mothers: "By holding up this woman as an exemplar of Christian perfection, we would like to extol all those high-spirited mothers of families who give themselves completely to their family, who suffer in giving birth, who are prepared for every labor and every kind of sacrifice, so that the best they have can be given to others." 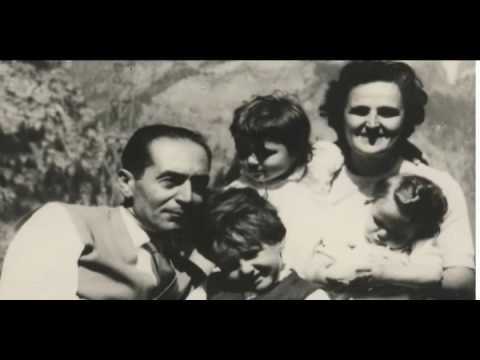 In canonizing Gianna Beretta Molla this spring [of 2004], the Church officially recognized the extraordinary sanctity of a woman who chose to live an ordinary life-as a professional and, later, as a wife and mother. Though she had once considered entering a religious order, instead she practiced medicine (receiving her medical degree in 1949, and her specialty in pediatrics in 1952). She devoted herself to caring for her patients, and her selflessness and dedication as a physician endeared her to the people. But it was not only her practice of medicine that influenced them. She regarded her profession as a mission through which she could aid and nurture both bodies and souls. 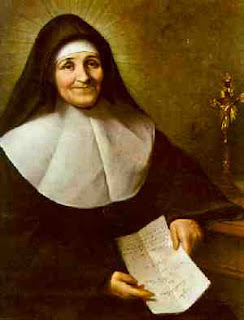 The young doctor's devotion to her Catholic faith was well known in her community, and especially her instruction of young Catholic girls in their faith. Gianna meditated long and prayerfully on God's will for her. "What is a vocation?" she wrote: "It is a gift from God-it comes from God Himself! Our concern, then, should be to know the will of God. We should enter onto the path that God wills for us, not by 'forcing the door', but when God wills and as God wills." Gianna believed she was called to marriage and * family life, but she waited patiently for God's will to be revealed. Gianna Beretta did not marry until she was thirty-three years old-to an engineer ten years her senior, Pietro Molla, whose sister had earlier been a patient of the young Dr. Beretta. Letters Gianna wrote during their year-long courtship reveal her deep commitment to this new vocation. The couple married in September 1955. Several days before their wedding, Gianna wrote to Pietro, reflecting on their vocation to marriage: "With God's help and blessing, we will do all we can to make our new family a little cenacle where Jesus will reign over all our affections, desires and actions.... We will be working with God in His creation; in this way we can give Him children who will love Him and serve Him." Gianna's faith and her communion with Christ were profound, and from this grace she drew deeper understanding of the dedication and self-giving love that is fundamental to Christian marriage and family life. After her marriage and even after she had children Gianna continued her medical practice, extending her gifts beyond her immediate family to the children of others, Three children, a son and two daughters, were born between 1956 and 1959, and Gianna had two miscarriages before conceiving another baby in 1961 Pietro and Gianna referred to their children as their "treasures". In his own account of these years, Pietro Molla says that he did not object to Gianna's continuing her medical practice, because she was so deeply attached to her patients, though after she became pregnant with their fourth child, Pietro and Gianna had agreed that she would stop working outside the home after the baby was born. Early in the pregnancy it was discovered that Gianna had a fibroma, a benign tumor, on her uterine wall. Surgery that would involve aborting the baby was suggested, but the Mollas instantly and firmly rejected this idea, and chose surgery that would remove only the tumor. Because of her medical knowledge, Gianna understood more fully than most the risks involved in this delicate surgery-both to her and to her unborn child. She insisted that the baby be protected at all costs. The surgery successfully removed the fibroma, and the pregnancy continued, apparently normally, and the family made plans for the future in joy and hope. But all was not well, and a few days before the baby was born, Gianna realized it would be a difficult-possibly life-threatening delivery. She asked her husband to promise that if it were necessary to choose between saving her and saving the baby, he should choose the baby. "I insist", she said. On Good Friday, Gianna entered the hospital. And a lovely, healthy baby daughter, Gianna Emanuela, was born the next day, April 21, 1962. But the mother had developed a fatal infection-septic peritonitis. (Modern antibiotics most likely would have saved her.) The inflammation caused immense suffering during her final week on earth. In the midst of her terrible pain, Gianna called to her own mother, Maria, who had died in 1942-and she prayed. As she lay dying, she repeated, "Jesus, I love you", over and over. Her agony ended on April 28–at home. She was thirty-nine. The tiny infant, Gianna Emanuela, was exactly one week old. The bereft Pietro was left to raise four very young children without their mother: Pierluigi, the eldest, was not yet six; Mariolina, four; Laura, nearly three; and of course the new baby. In this book are Pietro's own reflections on the difficult years that followed, and how the example of his wife's serene and joyous faith helped sustain him through his grief at Gianna's death; when their little daughter, Mariolina, died only two years later; and through all the ordinary difficulties of raising a family alone–with the added extraordinary challenges of raising children whose absent mother had already become a revered public figure. Almost immediately upon her death a devotion to Gianna arose among those whose lives she had so deeply touched, and who knew her heroic devotion to her faith and her family. Her "cause" was introduced formally in 1970. She was beatified April 24, 1994; and canonized on May 16, 2004–forty-two years after her death. Gianna Beretta Molla is the first married laywoman to be declared a saint (though there are many sainted widows). She is also the first canonized woman physician–a professional woman who was also a "working mom" four decades ago, when this was unusual. Her witness of abiding faith in Christ, and her example of generous, loving self-donation–wherever and however she was called to serve the Lord–provide particular inspiration for women of our time and in our culture, where conflicting demands and confusing signals are a daily part of our lives. There is another aspect of this new saint's life that is worth pondering–and this book affords a glimpse of it. That is, the role of her family–the example of her parents -in her formation as a committed, active young Catholic. Her family was outstanding for its deep Christian faith, expressed not only in worship, in private prayer and family devotions, but in generously extending their gift of faith to others. Her family's example of unselfish love set the direction of young Gianna's life. It gave her the firm foundation upon which, through the grace of God and her trusting acceptance of his will for her, she confidently built her life–a life that would shelter, nurture, guide, and inspire countless others. Gianna's plans for raising her own children in the faith was influenced by her own experiences growing up. Her understanding of motherhood came from her own mother. Even though her own children could not know her tender motherly presence while they were growing up, she interceded for them. At the very end of her life, as Gianna suffered mortal pain, she sought her mother's prayers. As we-especially mothers of young families–may now seek hers. Today I came across this old book cover from my grade school St. Albert the Great in Kettering, Ohio. Back in the 1970s, we wrapped all our text books in these book covers to protect the binding and to make the books last longer so that they could be used for several years. The front of the cover says "St. Albert the Great School" and has a picture of an open book with a feather pen in front of it and the dove coming down upon it. I think this is to symbolize the Holy Spirit enlightening study. The middle section that would go on the edge of the book says "St. A Kettering 29, Ohio." The 29 is part of the zip code, 45429 and is the way mailing addresses were written then. Our school teams were called the Stags. I never realized until years later that the initials of St. Albert the Great was STAG and thus the name of the mascot. Only in the last years have I gotten to learn about the man for whom the school was named, St. Albert Magnus, or St. Albert the Great. He was the teacher of St. Thomas Aquinas and a great saint to have as our patron. May God richly bless all the teachers, staff, students and families of our school. And may we ALWAYS REMEMBER. Our first date was April 21, 1981, 30 years ago today. I was a sophomore in high school, not even able to drive. Bob had just turned 17 and was a junior in high school. Bob invited me to the REO Speedwagon Concert at the University of Dayton Arena in Dayton, Ohio. 707 was the warm up band. 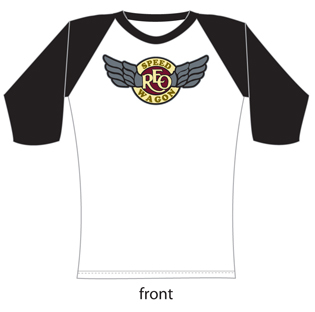 I wasn't a huge REO fan, but they were pretty popular in 1981 and I was excited to go to a concert, my first. Well, he bought me the shirt. And I guess that was that! We married five years later. I still have the shirt. I don't keep many things from the past, and certainly not any other clothing that long, but it was a special day and a special memento. Our two oldest boys have worn the shirt to "80s days" at school. But most of the time, it is pretty much just sitting on the shelf in the closet. Except for today, I am wearing it. How Blessed I am to celebrate 30 years of Bob Musselman! Happy 84th Birthday April 16! 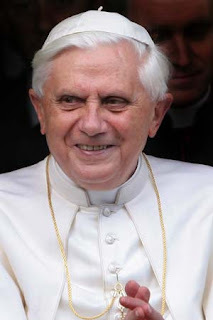 VATICAN CITY, APRIL 13, 2011 (Zenit.org).- Being a saint really is not all that complicated, according to Benedict XVI, who today offered a simple three-step recipe: Go to Mass on Sunday, begin and end the day in contact with God, and make decisions according to the Ten Commandments. The Pope offered this simple guide today during the general audience, as he concluded his two-year series of catecheses on saints and doctors of the Church. Citing Scripture and the Second Vatican Council, the Holy Father tried to present what is "the most essential" for reaching sanctity. He said: "What is the most essential? Essential is that no Sunday be left without an encounter with the Risen Christ in the Eucharist -- this is not a burden but light for the whole week. Never to begin or end a day without at least a brief contact with God. And, in the journey of our life, to follow 'road signs' that God has communicated to us in the Decalogue read with Christ, which is simply the definition of charity in specific situations. "I think this is the true simplicity and grandeur of the life of holiness: the encounter with the Risen One on Sunday; contact with God at the beginning and end of the day; in decisions, to follow the 'road signs' that God has communicated to us, which are simply forms of charity. [...] This is true simplicity, grandeur and profundity of the Christian life, of being saints." Everyone is called to holiness, the Pope affirmed. "How can we journey on the path of holiness, how can we respond to this call? Can I do so with my own strength?" he asked. "The answer is clear: A holy life is not primarily the fruit of our own effort, of our actions, because it is God, the thrice Holy, who makes us saints, and the action of the Holy Spirit who encourages us from within; it is the life itself of the Risen Christ, which has been communicated to us and which transforms us." The Bishop of Rome proposed more questions: "Can we, with our limitations, our weakness, reach so high?" He recalled the line-up of saints presented by the Church in the liturgical year -- from every period of Church history, belonging to every age and state of life: "the concrete faces of all peoples, languages and nations. And they are very different among themselves." And the Pope pointed to other "saints," who are also "road signs": "the simple saints, that is, the good persons that I see in my life, who will never be canonized. They are ordinary people, to say it somehow, without a visible heroism, but in their everyday goodness I see the truth of the faith. This goodness, which they have matured in the faith of the Church, is for me a sure defense of Christianity and the sign of where the truth is." It is the communion with saints, canonized or not, that enables cultivating a "firm hope of being able to imitate their way and share one day the same blessed life, eternal life," he reflected. The Holy Father concluded with an invitation to be open to holiness. He said: "I would like to invite you to open yourselves to the action of the Holy Spirit, who transforms our life, to be, we also, pieces of the great mosaic of holiness that God is creating in history, so that the Face of Christ will shine in the fullness of its brilliance. "Let us not be afraid to look on high, to the height of God; let us not be afraid that God will ask too much of us, but let us be guided in all our daily actions by his Word, even if we feel that we are poor, inadequate, sinners: He will be the one to transform us according to his love." It started with my sister Colleen requesting prayer cards. She had bought a glass top table and started putting beautiful pictures of Jesus, Mary and the saints under the glass. She made a request to the two younger sisters of our mother. Auntie Martha is a "collector" of all kitchy stuff from the 1950s, so she is sending her holy cards, first communion cards, confirmation cards and more. Then the topic of St. Philomena came up. "Yes, I remember St Philomena being “delisted” because so little verifiable info was available on her. I always thought that it was weird that Our Lady of Mercy School (in Dayton, Ohio) had a statue of St Philomena. They actually screwed a bronze plate over the words “St Philomena” and renamed the same statue “Our Lady of _____(Good Hope? )”, but still not Our Lady of Mercy, the namesake of the parish! The hunt for spare holy cards brought back memories of early grade school and Mary Jo McGrath’s extensive collection of holy cards. She had a daily missal (about 2” thick) and I only had a Sunday missal (about ½” think). The daily missal had 2 or 3 colored ribbons to mark your place, whereas mine only had 1 (I think). How she managed to amass such a number of holy cards at such an early age, I couldn’t fathom, but I was envious! We had some sitting down time during our daily mass, and she used to have me “grade” the holy cards, one against another, by putting one on each knee, while I tapped the my appropriate knee for the “prettiest” one. This would go on through all the cards, until the best one was picked. After a few days of this, I grew bored with the whole process and stopped “playing”. Don’t need to remind me that at this time I was not paying attention to the mass! For confirmation I got a “Lives of the Saint” book, one for each day of the year. I turned to my birthday, January 26th-boring! So I went through the whole book & read about the martyrs. The more gory and horrific their deaths, the more I enjoyed it! So much for whatever influence someone thought I would get out of it. PS I did not really envision such deaths for my annoying little sisters! Your table will be pretty and fun to talk to the kids about." Thanks Colleen, Martha and Annie for sharing! I love our Catholic heritage remembered. Mary Rose Julie Billiart was born in France. She was the sixth of seven children. Her parents were peasant farmers. Her uncle, the village school teacher, taught her to read and write. What I love about my patron is that she knew her faith and taught it no matter what. Can you imagine being in bed for 22 years?? And yet, at her bedside folks would come to learn the faith. Please God let each of us share the faith at all times, in all circumstances. My we say each day, "how good is the good God."